Beautiful summer weather allows Lawrence residents to spend more time outdoors playing, relaxing, and entertaining. 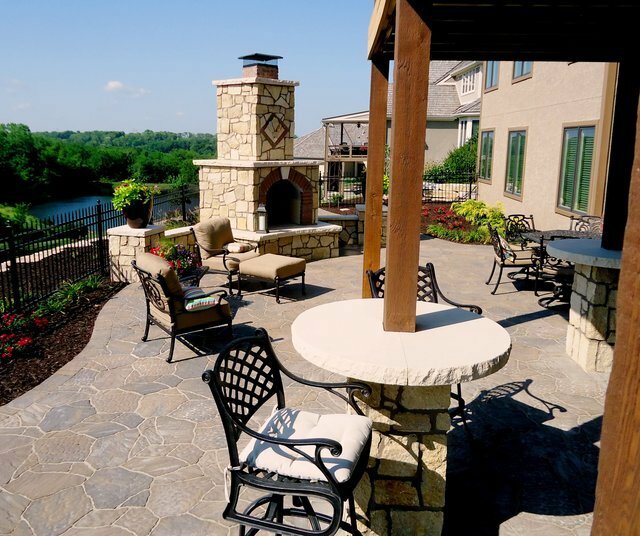 Professional outdoor living design services from Lawrence Landscape can help you make the most of this precious time with outdoor living space renovations! The highly skilled team of professionals at Lawrence Landscape has over three decades of commercial and residential landscaping experience using the finest quality materials and latest technology. We can help transform your existing backyard into a more comfortable, functional, and aesthetically pleasing outdoor living space that you will enjoy for years to come. 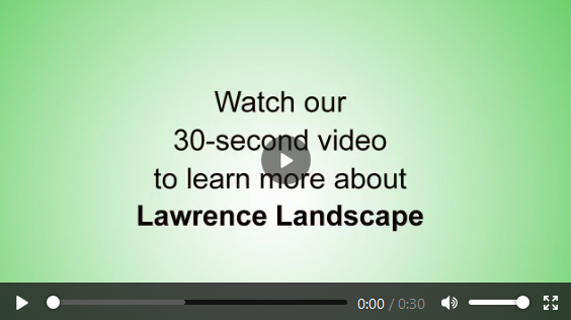 Contact us today to learn more about our Lawrence landscaping services or to schedule a consultation. Brick – This classic material is ideally suited for this type of application and lends a rustic flair to your outdoor space. Cast Iron – A freestanding, above-ground fire pit constructed from cast iron is a beautiful addition to any outdoor living space, and the properties of the metal help to produce consistent, radiant heat to keep you warm on chilly nights. Natural Stone – A fire pit constructed from your choice of natural stone provides a unique connection to the outdoors while enhancing the beauty of your surroundings. Gas Fireplace – A natural gas fireplace is quick and easy to operate, with little maintenance required, and is perfect for day to day use. Wood Burning Fireplace – Enjoy the smells, sights, and sounds of a crackling wood fire for a more authentic outdoor experience. Features – Personalize your fireplace design by adding a mantel, hearth, built-in wood storage, or grill. Bar with seating – Serve guests food and drinks at the bar, complete with comfortable seating. Fire feature – Cook your main course, side dishes, or dessert (s’mores anyone?) over your outdoor fire pit or on the grill in your built-in outdoor fireplace. Outdoor grill – No outdoor kitchen is complete without a grill for that authentic, backyard flavor you can only get from an open flame. Outdoor smoker – Create mouthwatering smoked meats with your own custom designed backyard smoker. Range and/or oven – Prepare your entire meal outdoors, with options for baking, and stove top cooking. 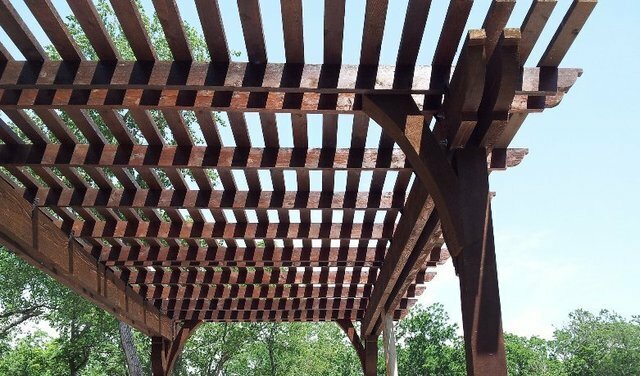 Define your outdoor living space, provide welcome relief from the sun, and add visual interest to your landscape with a custom arbor or pergola from Lawrence Landscape. We use only the finest quality materials and superior craftsmanship to ensure your new structure will withstand the test of time. Contact our full-service landscaping company today to get started on your next landscaping project in Lawrence!